Our Mission Our mission is to work continuously to develop efficient transportation services, with an emphasis on access, mobility, diversification and modernization. Our Vision To create the premier livable center of the Southeast. What is a CID? A CID is a Community Improvement District. It is a self-taxing district that uses additional property tax dollars to improve its district such as accelerating transportation and infrastructure improvement projects. CIDs are comprised of private commercial properties zoned as Office/Industrial and Retail properties. Residential and multi-family properties are not taxable by a CID. How is a Community Improvement District established? A CID is created through state enabling legislation and a vote by the majority of the corporate property owners in the defined district. It takes the agreement of a simple majority of the commercial property owners within the district to create a Community Improvement District. In addition, it is required that this simple majority of owners must represent at least 75% of the taxable value of the commercial property located within the proposed CID. How is money raised to fund a Community Improvement District? CIDs are funded by a self-imposed and self-regulated ad valorem real estate tax on commercial properties within the district. The tax will consist of additional mills being paid by the commercial property owners. A mill is equal to 1/10th of 1% of the assessed value of the property. For instance, if a property was valued at $100/sf, then one mill is roughly equal to $.04 per square foot. Because CIDs are controlled by private property owners and not their respective Counties, the property owners decide how to spend the money raised via a Board of Directors. How does a CID work? Commercial property owners agree to assess themselves additional ad-valorem real estate taxes in order to address critical issues such as traffic and safety. That money is collected by the Tax Commissioner of the local government and returned to the district by its respective county, and a board of directors then seeks to leverage that money and garner infrastructure improvements for the area. Some examples of how this money might be spent include environmental and engineering feasibility studies, funding new construction projects, upgrades to already funded projects, maintaining existing transportation features, and direct spending (traffic control officers). What is the purpose of a CID? Its mission is to work continuously to improve the economic viability of its district such as the development of efficient transportation services, with an emphasis on access, mobility, diversification and modernization. What is the organizational status of the PCIDs? The PCIDs are a quasi-governmental entity. What are the PCIDs? The PCIDs are the Perimeter Community Improvement Districts and are made up of the Fulton Perimeter CID located wholly in the City of Sandy Springs and the Central (DeKalb) Perimeter CID located partially in the City of Dunwoody and partially in the City of Brookhaven. How large is the PCID district? The Central (DeKalb) PCID boundaries within unincorporated DeKalb are generally described as the commercial properties located from I-285 south to Lake Hearn Drive. The Central (DeKalb) PCID boundaries located within the City of Dunwoody run south to I-285 and north to Mt.Vernon Highway, east to Ashford Dunwoody Road and west to the centerline of Perimeter Center West. The Fulton PCID is generally described as the commercial property located east of Barfield Road, north of the Glenridge Connector, west of the DeKalb/Fulton County line and south of the North Springs MARTA station. Can PCIDs implement plans? Yes. The model of the PCIDs is to help accelerate plans for improvements from the design phase to implementation. The PCIDs do participate in the bidding and selection process for contractors and engineers and well as manage some of the projects under agreements with the local government. What is a Livable Centers Initiative? 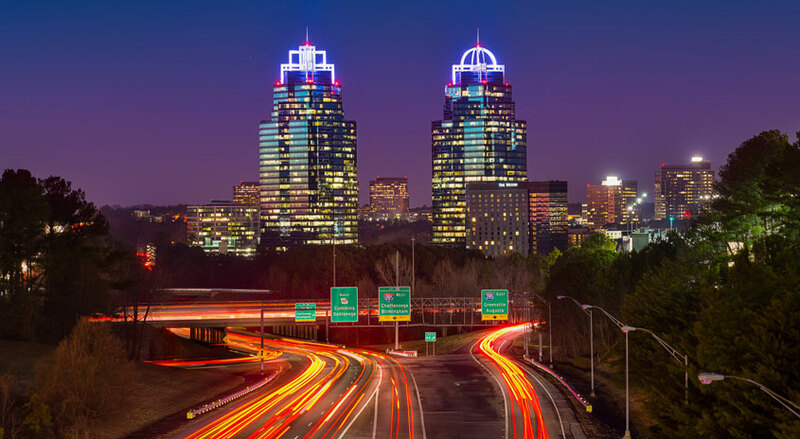 A Livable Centers Initiative (LCI) is the program sponsored by the Atlanta Regional Commission that promotes quality growth in the region by providing funds that create more opportunities for mobility and livability within existing employment areas. At Perimeter, LCI grants are used to create activity centers within the Fulton and DeKalb Perimeter areas that support the “smart growth” concept of live, work and play in the community. The PCIDs has successfully obtained over $6 million in LCI grant funds. What is Perimeter Connects? Perimeter Connects is the Transportation Management Association (TMA) for the Perimeter market. 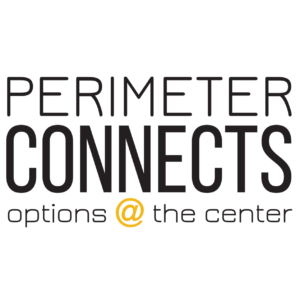 Funded by GDOT, the Atlanta Regional Commission, and the PCIDs, Perimeter Connects provides free commute consulting services to employers and property managers within the CIDs boundaries. The ultimate goal of the program is to improve air quality and reduce traffic congestion in the region by shifting drivers of single occupancy vehicles into an alternative commute including transit, rideshare, active transportation, and flexible work schedules. For more information on Perimeter Connects, click here to visit the site.